Martti Malka has been in charge of business development and M&A at Nokia Corporation head office where he conducted several major business unit divestments. He has been a partner in an international high-tech venture capital firm where he conducted a number of private equity deals and M&A transactions in several European countries. In addition, Martti has an extensive operational experience in senior management roles in Asia, Germany, London and Helsinki. Mikael von Hertzen has been in charge of product and service related global business units as well as worldwide marketing & sales functions in Nokia Networks, where he successfully achieved business growth. He has been a partner in a Finnish based, globally operating management consulting firm with special focus on technology and energy industries. He has conducted a number of company strategy, business model, product/service strategy and change projects. Mikael has held senior management and board roles across the globe including among others, China, Benelux and Finland. Timo was eight years chairman and later CEO of Nixu Oy, which grew to be the largest cyber security consulting company in the Nordics. In 2012 he was the key person to initiate the Finnish Information Security Cluster, FISC. He has acted as chairman for this association since its inception. He is also board member of DIGILE Oy and Chairman of the Board at Cyberlab Oy and Wellmo Oy. Prior to his career in information security, Timo spent eleven years in senior management at Nokia Networks. Timo is the Founding Partner of Kasin Consulting, which was established in 2014. Jorma has broad and diverse background in international business in legal, sales and human resources roles. He has worked in Nokia for more than fourteen years, of which four and half years in Singapore, and has been a member of various management teams. He is eager to act as sparring partner and support in any kind of business challenges. 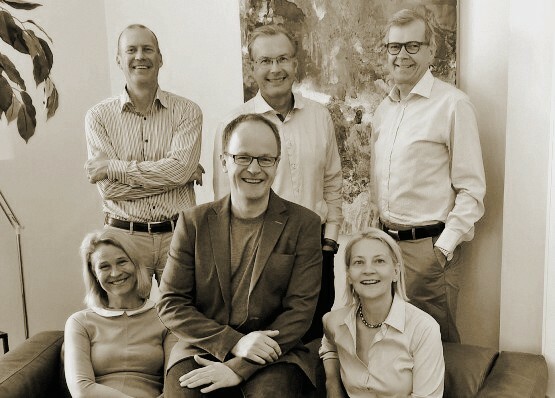 Jorma is a Chairman of the Board in Futurice Ltd, Chairman of the Board in Juuriharja Consulting Group and Member of Steering Group in Tekes Liideri programme. He also helps startups by coaching them in Startup Sauna. Jorma follows the legal market development internationally and shares his views and observations in Laissa’s blog. Jorma is pragmatic, innovative and solution oriented and keen to identify solutions for you in flexible and agile manner. Jorma is a co-founder and partner at Laissa Oy since 2014. Leea has extensive experience in mergers and acquisitions and various kinds of financing arrangements. She has seven years experience in the banking sector and more than ten years working experience with big law firms in Finland and with Freshfields Bruckhaus Deringer in Singapore. She has been supporting both listed companies, medium size companies and startups with all their legal needs. She helps to negotiate and draft business contracts, plans financing and ownership transactions as well as advices in corporate law matters. Leea is hands-on, pragmatic and solution oriented. Leea is co-founder and partner at Laissa Oy since 2014.